Only exchange currency to meet immediate needs! The currency exchange rate at the airport is always poorer (you could lose up to 2-5% on the rates offered depending on the currency) compared to what you can get in the city – so at the airport, change only the minimum amount of local currency that you require. Once you step out of the airport building, you may not be allowed back in to exchange foreign currency. There are currency exchange counters before the customs and after the customs area in the arrival section of the Delhi airport, Terminal 3. Before customs, there are 2 currency exchange counters: Thomas Cook and Central Bank of India, both of which are open 24 hours. Central Bank of India’s counter is not easy to find – so ask & look for it (refer to image) as they don’t charge any commission while Thomas Cook (refer to image) does. You should be able to exchange currency at either counter for similar rates. 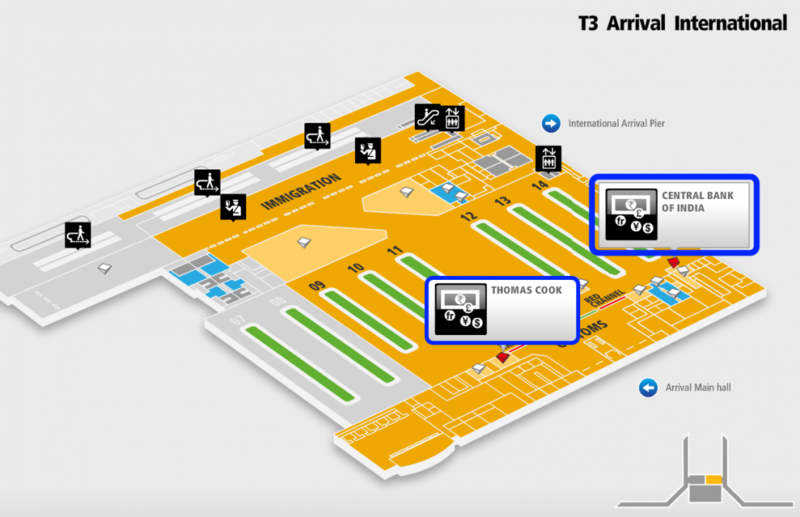 You can use the pictures below or the Airport’s interactive map to see where the currency exchange counters are located. Currency exchange outlets are found in tourist, market and commercial areas. They offer better exchange rates than the airport, and may or may not charge a commission. Offices in market areas like Connaught Place tend to offer better exchange rates than those in tourist areas (Paharganj, Karol Bagh etc) but always shop around to figure out which center is offering the best rate. Govt or Reserve Bank of India approved money changers will have a sign proclaiming Authorized Foreign Currency Exchange. You can usually make out the genuine ones from the street corner people or ask for the Encashment certificate if you want to be sure. Take care when changing money – i.e. always count money in front of teller before departing, try to avoid changing large amounts of cash at any one time and check if notes are valid. You can try and bargain for the best rate if you are changing large amounts of currency. One of the simplest and scam free way is to use the ATM to withdraw money. Money changers like Thomas Cook and AMEX will charge much more as compared to the bank issuing the ATM card in most cases (do check with the card issuer transaction charges in advance!). However, sometimes banks may charge a transaction fee for every withdrawal, in which case it is best for you to withdraw larger sums so the transaction fee is spread on a larger amount. If you prefer to withdraw smaller amounts each time, notify your card issuer that you will be using ATMs frequently in India given most places in India accept cash only. Any fees will be up to the bank in India, and your home bank, but it will (usually) be better than a cash exchange service at the airport. Important Note: In most (but not all) Indian ATM machines, you insert your card and then take it out immediately, unlike in some countries where you leave your card in when using an ATM. You will then be asked to enter your pin and carry on with your transaction. Cross check exchange rate being offered & decide accordingly as the rates offered here will be poorer than authorised agents. 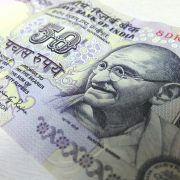 Many local Indian banks branches will also change your currency at a fair rate if you have time for the paperwork. The other option India Post (local post offices), which in association with HDFC Bank, provides Forex services through select Post Offices across India. This is a useful service if you need to exchange money outside main cities/ towns in India and do not want to use an ATM/ bank card due to high transaction charges. Do not purchase foreign currency from local residents offering you a better rate. Fake foreign currency is not uncommon in tourist areas. Buying foreign currency from unauthorized places is also illegal. Do not fall victim to people trying to entice you by saying they will give you a better exchange rate than what the banks may offer you. Q: How do I know if I am getting a good exchange rate? Look at the Buy & Sell spread used by the money changer/ hotel etc. Spread is the difference between what they pay to buy a unit of currency and what they sell that unit of currency for. A bigger spread means they are looking to make more money on the transactions vs. a smaller spread which is better for you! Exchange your currency at a center/ hotel where the difference between Buy and Sell is the smallest amount. If you request for a receipt, some centers offer 0.3-0.4 rupees less than the exchange rate for the transaction. Currency exchange receipts should clearly show the amount of foreign currency exchanged for Indian currency and the rate of exchange you were given so you can reconvert your left over Indian currency back to foreign currency at the airport where you fly out from. 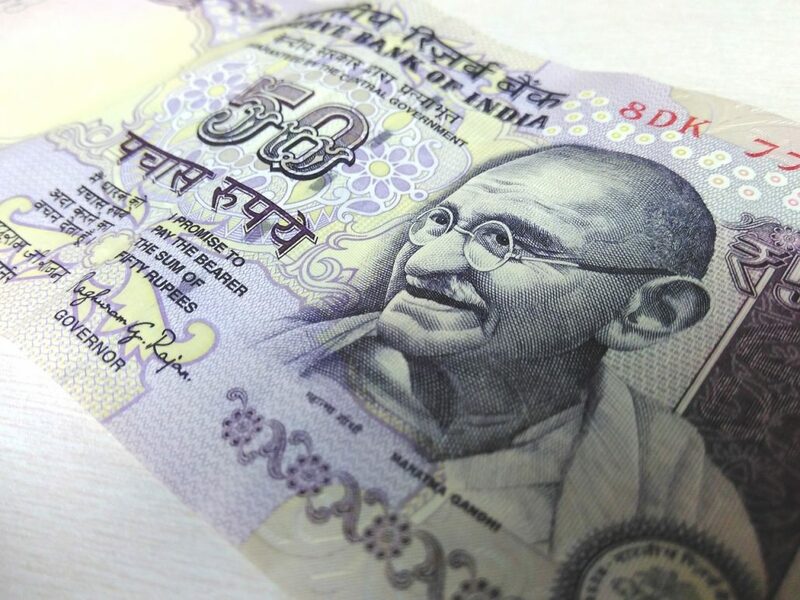 Indian Rupee currency notes printed before 2005 will no longer be accepted after January 1, 2015. Those who have such currency notes should exchange them at par at Indian banks as soon as possible. Currency notes issued before 2005 do not have the year of printing on the reverse side. In notes issued after 2005, the year of printing is visible at the bottom of the reverse side. Tourists should ensure they are not accepting any Indian currency notes that do not have the year of printing visible on the reverse side of the currency.